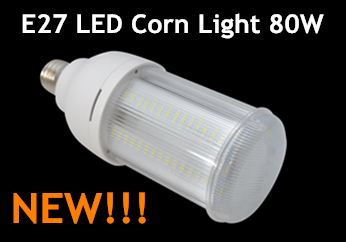 As the world's first new products ,LED corn bulb could replace the conventional compact CFL light directly . Unique construction design easier for power supply and light source replacement if needed,with full beam angle (360°). Fin aluminum heat dissipation system(PATENT design).The fan of active air exchanging cooling system in order to speed up heat dissipation. Wide voltage AC100-2770V,High efficiency constant current drives,Efficiency of power supply is more than 90%. No magnetic disturbance influence and CE & RoHS standard compliant. We have provided many specification LED Corn Bulb choices, They are include, E26/E27/E39/E40 corn led, E14/E27/E26/G24 street led Corn Light , Horizontal Plug Corn Light, etc. E40 LED Bulb retrofit LED Corn Light Widely used in store, warehouse, parking lot, gas station, metro station, supermarket, home, office ,workshop, street, garden. etc. where installed E40,E39,E27,E26 traditional metal halogen or high pressure sodium bulbs would be available for replacement by our E40 Retrofit LED Bulb Corn LED Light bulb.